Get outdoors, put on your headphones, and play this workout. 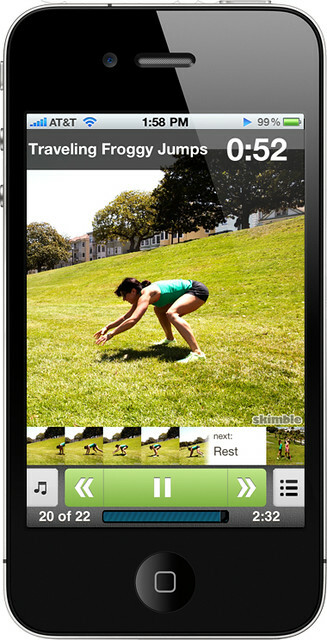 Begin with a great cardio warm up at your home base (backyard or park, perhaps?). Then, enjoy an 8-minute jog around the block. Return to your home base to finish with a nice strengthening set. While weights are optional, serious hustle is required. Have fun!